I am against the notion that the United States should attack Assad's establishments in any way for whatever reasons. As Pro, you are to provide a debate for the notion on reasons why the U.S. and it's allies should be able to do so. This round (round 1) shall be used for acceptance. By accepting the debate it will be generally assumed that you know your task. We shall both present our arguments in round 2, however, if Pro is willing, then he/she is able to present both his acceptance and his stance in this round (round 1). And for the sake of good sportsmanship, if any loopholes or parlor tricks are found, don't use them simple to achieve a quick win. Please and thank you. I accept the debate. By no means do I agree or disagree with the following topic, this is simply for experience. I would like to thank the opposition for making this debate possible. Good luck and have fun. You may state your case first. I thank you for accepting the debate, however you should know that it is dangerous to take part in a debate you have no passion in, but on towards the actual topic. Syria has been in crisis for the past 3 years. What began as pocketed protest inspired by the Arab Spring in December 2010 against the policies of Bashir Al-Assad, evolved into a revolution for his removal by 2011, spiraled into a civil war the rivaled pro-Assad communities against anti-Assad communities by late 2011, and is now, in my opinion, deteriorated into a proxy war with no clear victory in sight. Such catastrophe has lead to the death of over 100,000 people--some of Syrian decent, some not--and with over 2.5 million Syrians being displaced, both within Syria and on the outskirts of neighboring countries. Since the beginning of June chemical attacks have occurred within Syria which have sparked the question of U.S. intervention. I detest to such intervention of multiple occasions, which I have generally narrowed down to 7. Some reason are structured by fact, some by possibility scenario, and others by logic. 4 of the 7 reasons deal with the question "why" and the remaining 3 deals with the possible aftermath. And I will then end my round of the debate with a paragraph of action. I shall begin with the why of the matter. 1. The majority of people are against it. Polls have shown that the vast majority--over 60%--of the populace in both America and Turkey, two nations where the Head of State are pro-intervention. And so far in the U.S. many of those in Congress and other politicians disagree with intervention where as the House of Representatives has a correlation with the public (being anti-interventionist). Also many representatives of the United Nations oppose military intervention as well. For the U.S. to disregard the domestic public, the foreign public of its allies, and the overwhelming international community would be both a moral crime but also a legal crime against U.S. law involving the balance of power between the Judicial, Legislative and Executive branch and against multiple Articles in Charter 7 United Nation's law. 2. Assad is most likely NOT responsible for this attack. Why would he do such a thing? He, as well as any rational person, knows very well of the international consequences that are in store for him if chemical agents are used. Now such consequences will be moot if he was losing, but over the past 4 months he has been winning the war[7--green represents Assad's forces]. He occupies the majority of cities and has no reason to jeopardize his position in power by using chemical attacks. In fact, it is the rebels who would have motive to use of chemical agents in order to frame Assad in an attempt to get him attacked or to at least create a stalemate. The first chemical attack was in late 2012 and coincidentally a few months earlier Obama spontaneously announced that a chemical attack would be a "red-line". 3. The United State's intelligence and reasoning is either flawed or unclear. The U.S. and its allies have claimed the know with certainty that Assad has used chemical weapons without releasing concrete evidence to the public or any other well established institutions such as the United Nations or World Court. Furthermore Russia and the United Nations have found evidence that it is the rebels who have been causing chemical attacks for months (a claim that pro-interventions have yet to reply to) and that Assad has been removing chemical agents away from Damascus. And may I say the Assad wasn't aware of the attacks. 4. The United States has ulterior motives. Obama's constant rhetoric is that we must intervene because dying oh a chemical agents is a horrible experience and that many children have died, which is all true, but are worries pure? Less than 1 percent of the deaths in Syria are due to chemical agents . Does it not hurt a child to have shrapnel from a grenade pierce his body? To burn alive from the flame of an air-strike? Why are chemical attacks the red-line? If Obama truly cares about the Syrian people he would have intervened when the death toll reached 10,000. 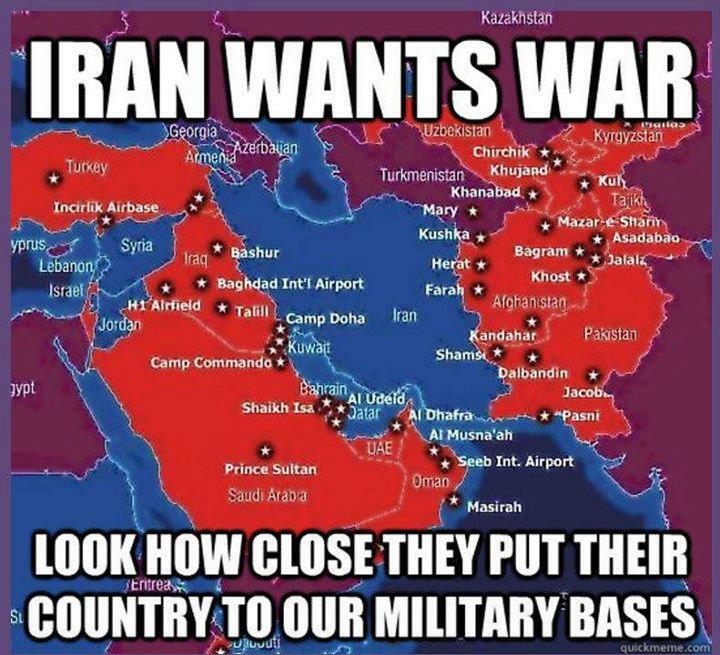 In my informed opinion, I truly believe that the U.S. wishes to destabilize the region to get another step closer towards invading Iran. Such an invasion would mean direct control of the oil in the region and the canals that are used to extort them. And such a war would be unjust as the U.S. have done many things to agitate them such as removing their democratically elected leader in 1956 and installed a dictator as well as fund Iraq in the Iran/Iraq War and knowingly gave Saddam biological weapons. Now I shall move towards the reasons regarding the likely aftermath. Keep in mind the these scenarios do not follow a multi-verse-type scheme and are all capable of unfolding in unison. These scenarios arise from the most probable possibility if the U.S. cripples Assad's military assuming that he will then fall from power which will leave his country in the hands of rebel fighters and foreign mercenaries. 5. Putting Americans at risk. Both Syria and Iran have stated that they would retaliate if attacked. To put the American population, or any innocent individuals, at risk for such loose claims is absurd. The U.S. may say that it does not want "boots of the ground", but what will happen when Assad retaliates? Will America simply turn the other cheek and let soldiers and civilians die or will America retaliate? If America retaliates, then why attack in the first place if it will eventually place soldiers on the ground? It is obvious that the various groups of fighters will not be able to form a cohesive government. They have already begun defining territories and killing each other for months. What do you think will occur when there is no common enemy and groups like Al-Qaeda and their subordinates, who have been staying out of the conflict and stockpiling weapons while the FSA and Assad fight one another, go on the offensive? Who will stop them? Who's stopping them now? With many children being orphaned, radical forces are recruiting children and teenagers at an alarming rate. And will foreign fighters pour in to fight al-Qaeda? Have non-military foreign Muslims ever willingly entered a foreign country on the sole bases of fighting al-Qaeda before? No. Another situation is that once Assad falls, it will become a lawless haven for the transportation of unsupervised weapons and chemical agents that can be used against any in the region, including Russia. In fact, with Russia's Chechnya radical Muslim issue, they have every right to support Assad as he is the only source of stability. Without Assad, Syria will become a free zone, like Libya. In total, the U.S. has no valid reason to attack and even if they do such an attack would be more hazardous towards them. Obama claims that he is advocating for intervention to uphold the American reputation. A reputation that doesn't exist for a nation that has been in war in most of it's existence and fails to directly intervene without ulterior motives: Sudan, Congo, Rwanda, etc. And most importantly, the U.S. used Agent Orange on a widespread scale in Vietnam and have used hazardous munition in Iraq which affect the Vietnamese and the Iraqis in vicious ways even til this day. Well they turn the other cheek once another "intervenes" with their wrong doings? The U.S. has proven again and again in Libya and Iraq that not only knocking the balance of power in a nation will worsen it but that they will do absolutely nothing to rebuild it or help the appointed government. Sadly I feel that Libya and Iraq are small microcosms of Syria. If the U.S. truly wanted to help the Syrian people, it will make a treaty with Assad stating that he will be removed from power if the U.S. destroyed all radical groups in exchange. Then, and only then, will the radicals be neutralized thus preventing a lawless nation. I'm not saying that the U.S. should necessarily aid Assad, but they shouldn't attack either unless they are committed to rebuilding. As I said in Round 3: "it is dangerous to take part in a debate you have no passion in"